All Saint Charles homes currently listed for sale in Saint Charles as of 04/19/2019 are shown below. You can change the search criteria at any time by pressing the 'Change Search' button below. If you have any questions or you would like more information about any Saint Charles homes for sale or other Saint Charles real estate, please contact us and one of our knowledgeable Saint Charles REALTORS® would be pleased to assist you. 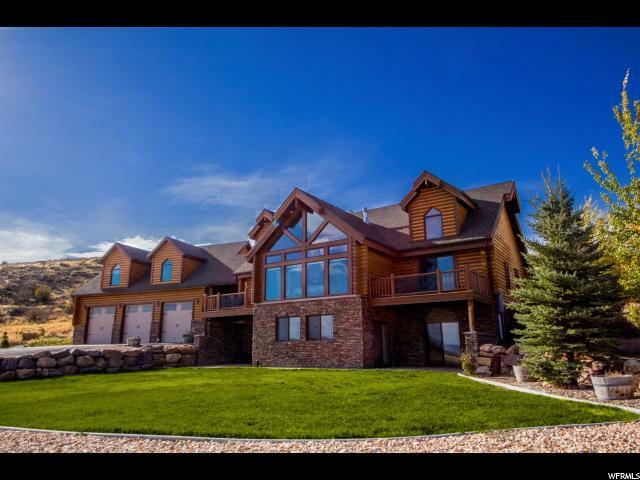 "Custom built log home was in Parade of Homes sits on 2.93 acres with beautiful Bear Lake views. Large private yard with plenty of room for gatherings, toys, or even horses, has RV hook-up, 10'x52' covered deck, sand volleyball, horseshoes, tetherball, play set, hot tub hook-ups, outdoor shower with hot water, paved driveway with plenty of parking. Step inside to inlaid tile, custom carved posts, 3 fireplaces, knotty hickory cabinets, quartz counters, hickory flooring, claw foot tub, 5 bedrooms and 6 bathrooms, master suite has oversized tub, 2 bathrooms and 2 closets, large office for 2 with built in cabinetry and desks, surround sound, central vacuum, intercom, upstairs has a hidden room. Downstairs is a walkout basement with Bear Lake views, steam room, and is plumbed for lap pool. Above the 3 car garage is large game/guest area with kitchenette and bathroom. Home has 3 tankless water heaters, aluminum wood clad windows, custom window coverings, easy year-round access and water shares for irrigation. One mile to Bear Lake North Beach Road and ride your 4-wheelers and snowmobiles from your home to access hundreds of miles of mountain trails. Great gathering place or short-term rental investment or make it all your own." 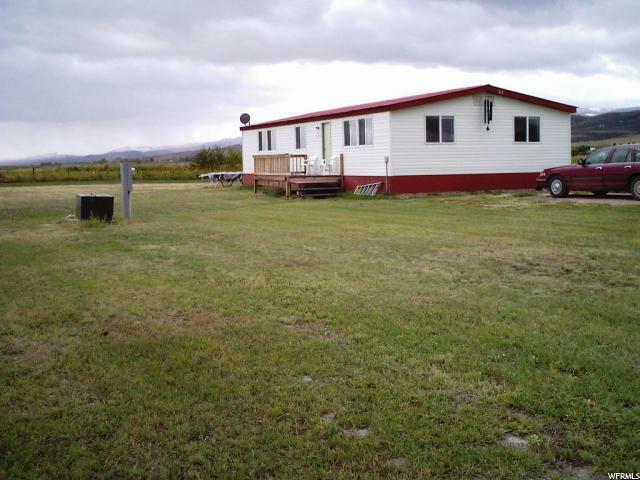 " 41.60 acres, 490 Feet of Beach access, 42 water shares, also included is a 3 bedroom, 2 bathroom manufactured home, the property is fully fenced. A county road runs the length of the property, this is a great opportunity to own a great piece of property that has beach access! Most of the pictures were taken last summer. Two of them where taken when the lake was full a few years ago. This year should be a high water year." "Watch the sunsets from your deck. 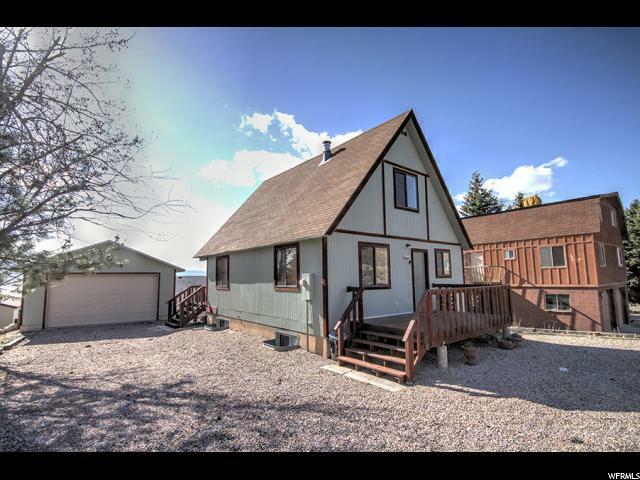 Walk to Bear Lake & enjoy the beach in this sub-division. 3 bedroom cabin, large masters bedroom with its own deck facing the lake. Large Great room on the main level with updated kitchen, hickory cabinets, corian countertops, large open kitchen for family gatherings. Sold with furniture, seller will provide list of exclusions. NO short term rentals "
"If you're looking for a spotless beach cottage, you've found it! This home was built with easy maintenance and year round living in mind. 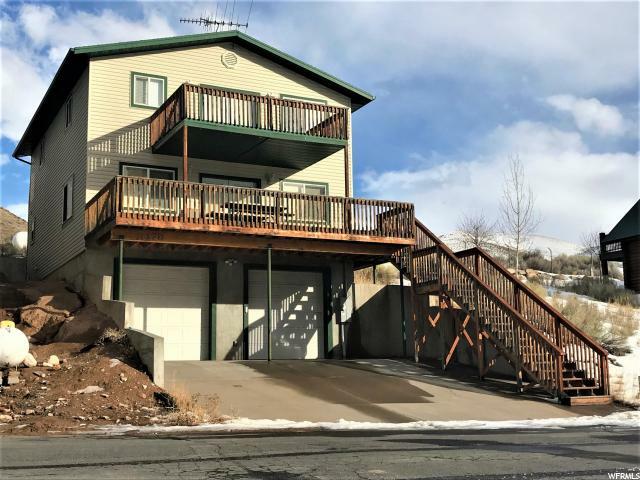 Fully insulated, beautiful redwood decks, great outdoor spaces and the best beach on Bear Lake with a loading dock to boot. Nearly new washer/ dryer and water heater. Come enjoy long summer days with gorgeous sunsets."